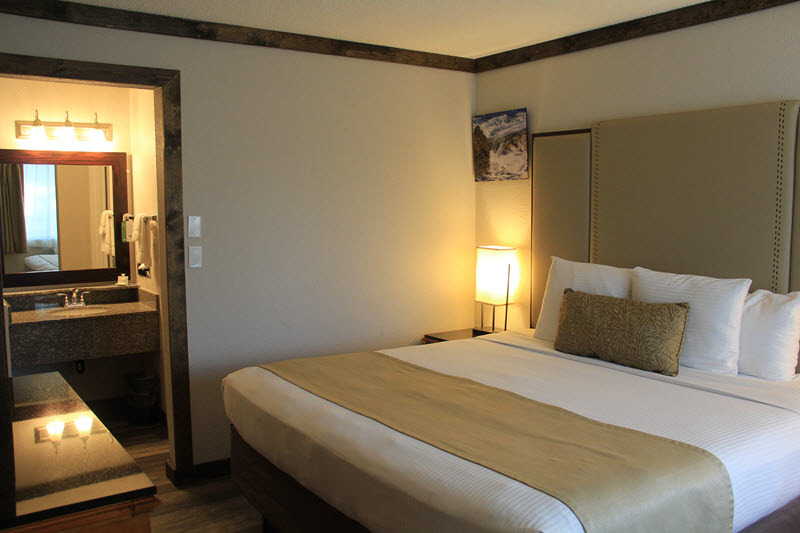 All rooms and suites have pillow top beds, free wired/wireless high speed Internet access, a flat screen TV, DVD player, iron and ironing board, hair dryer, in-room gourmet coffee, microwave, refrigerator, and coffee maker. 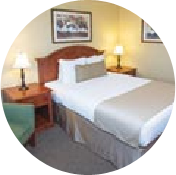 A spacious room with king bed and work area. 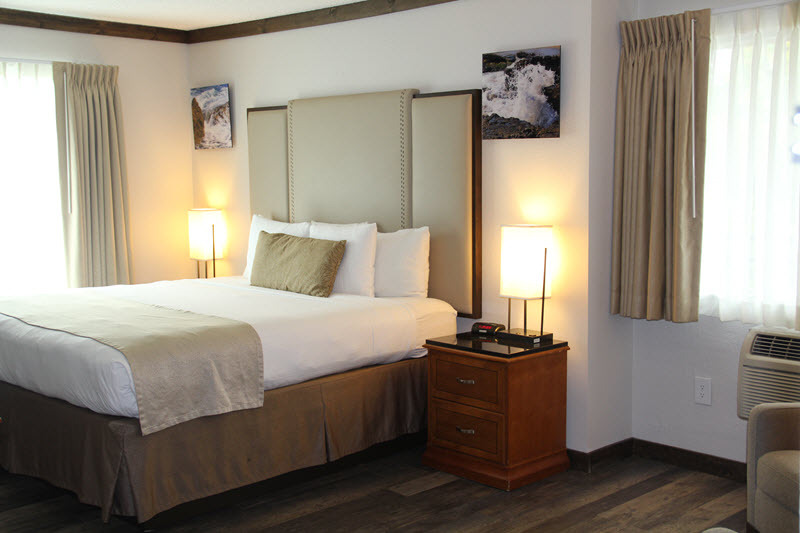 The perfect room for couples or business travelers. 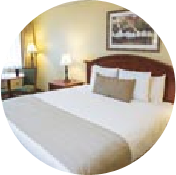 Relax in a comfortable room with a king bed. This is a dog friendly room. 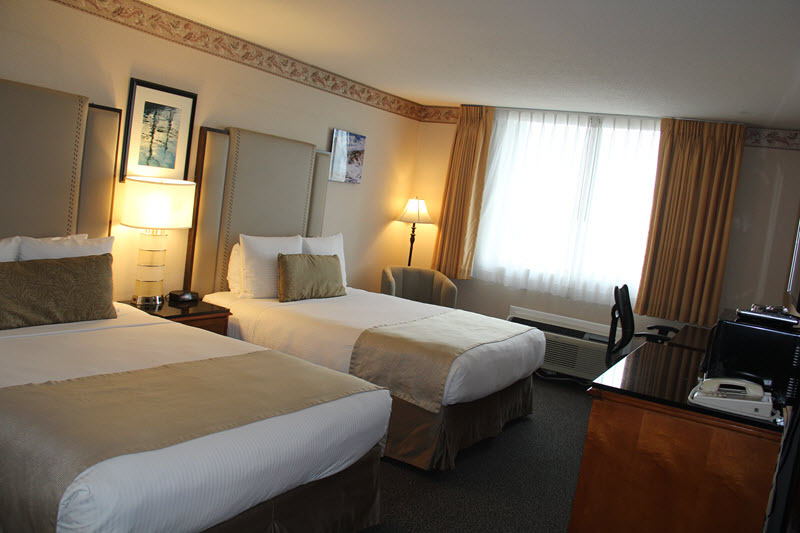 With two queen beds this is an ideal room for families, friends, and business travelers who want a little extra space. This is a dog friendly room. 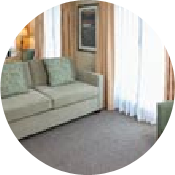 A well appointed room that is ideal for an individual or couple. This is a dog friendly room. 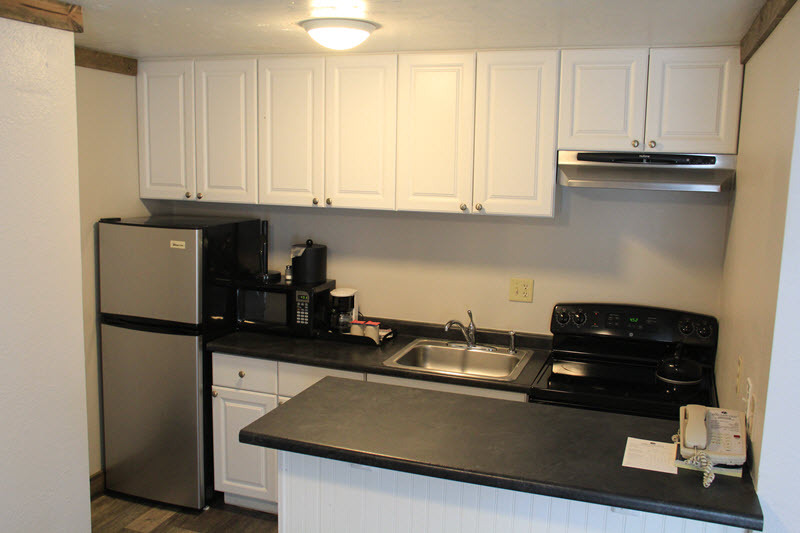 Stay in a spacious, comfortable suite with a separate bedroom with king bed, living area with queen hide-a-bed, and a full kitchen. 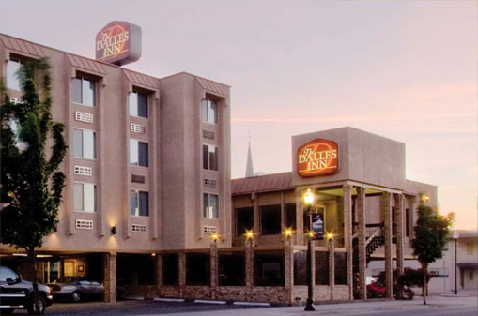 We picked the hotel for its location and a status of a historical building. The location is indeed in the center of the city by the clock tower. 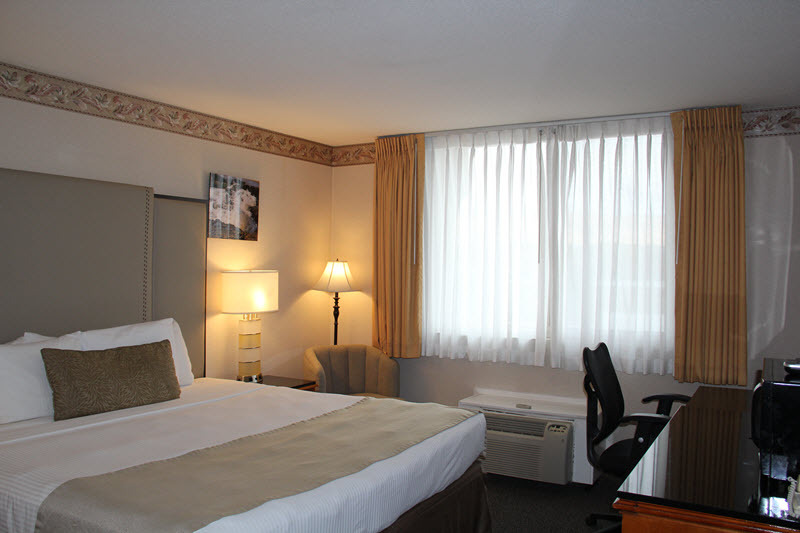 Newly renovated room, staff was friendly and accommodating. Wonderful friendly and accommodating staff. GREAT breakfast. Sparkling clean dining area. The beautifully bright young lady that runs the kitchen has super top notch customer service skills. Beds were really comfy! Rooms were boutique like with quality sample products for shampoo, conditioner and lotion. Close to great restaurants and downtown area. Nice linens and bath towels. Everything was clean and fresh. The staff was super friendly and the location was awesome. I was in a very short distance from stores, restaurants and gas. Very clean room, rooms have been nicely updated. Nice restaurants within walking distance. Warm and clean. Nice bed. Nicely remodeled. It had snowed about 8 ins. Was nice to find s place to stop for the night. Copyright © 2019 All Rights Reserved to The Dalles Inn.